Ruald Rheeder is a talented and well-known South African designer, whose pieces can be found at YDE stores. 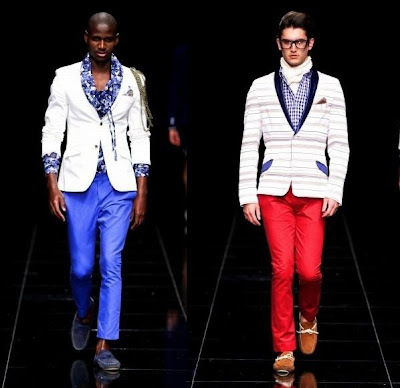 He is also making a name for himself abroad and will be showcasing at Kenya Fashion Week later this year. Ruald recently showed a striking spring/summer collection at Mercedes-Benz Fashion Week in Cape Town. 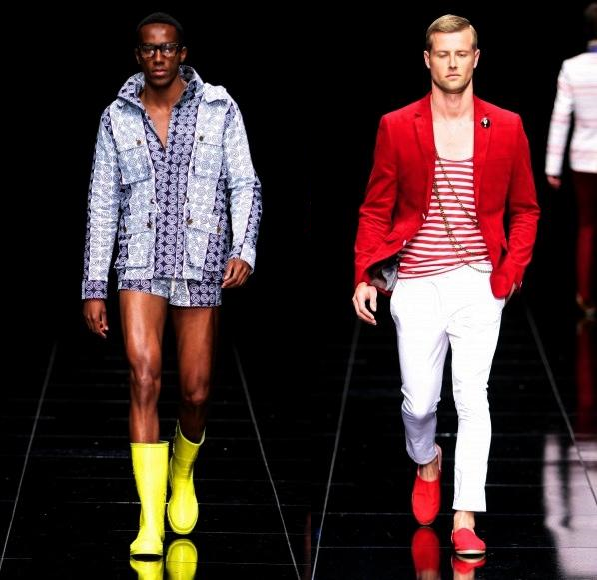 His collection included menswear, ladies wear and swimwear. 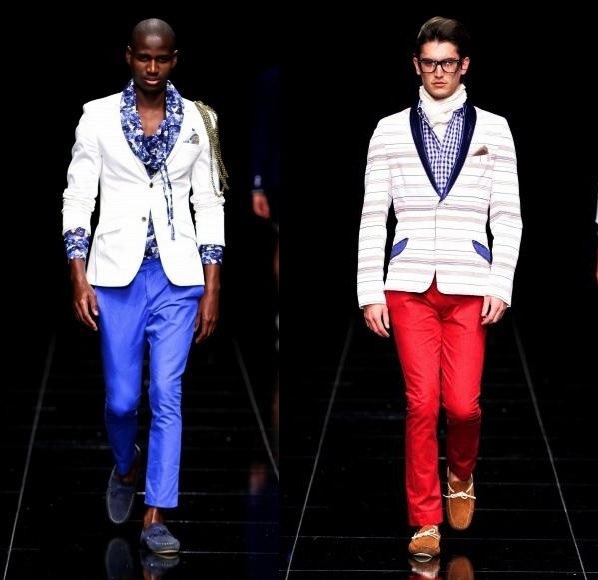 The colour palette consisted of Monaco Blue with a pop of red and yellow. 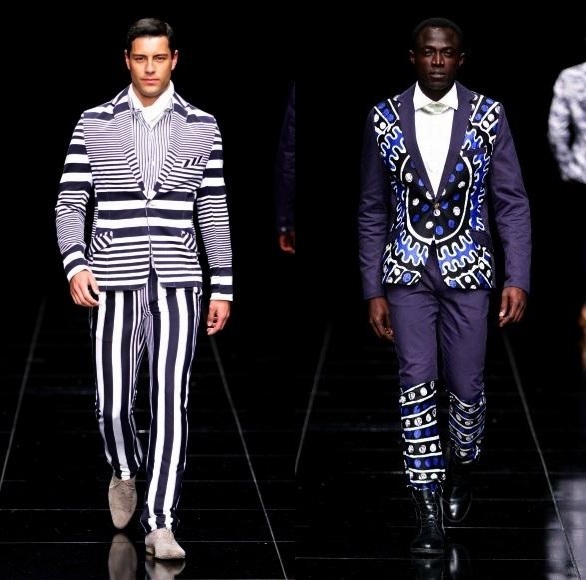 His collection had a nautical theme with the Breton Stripes and also included African prints. 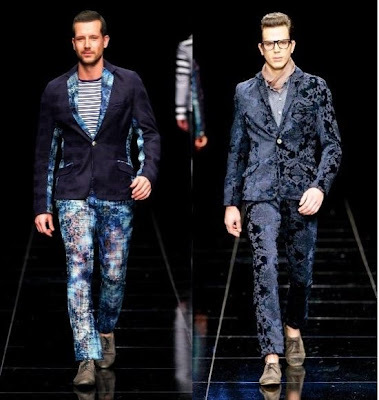 I liked the prints and the attention to detail on his suits - which are made for the guy who is not afraid to stand out in a crowd. The garments for the ladies will ensure that they look beautiful this spring/summer with modern fresh adaptations of classic nautical pieces. Ruald also styled a look with gumboots, which he also used in his collection during Mercedes-Benz Johannesburg Fashion Week earlier this year. Are gumboots Ruald’s signature accessory? 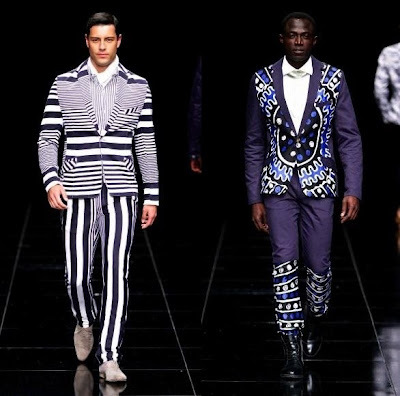 I sure hope so as they bring an African feel to his collections which tend to look more Eurocentric. 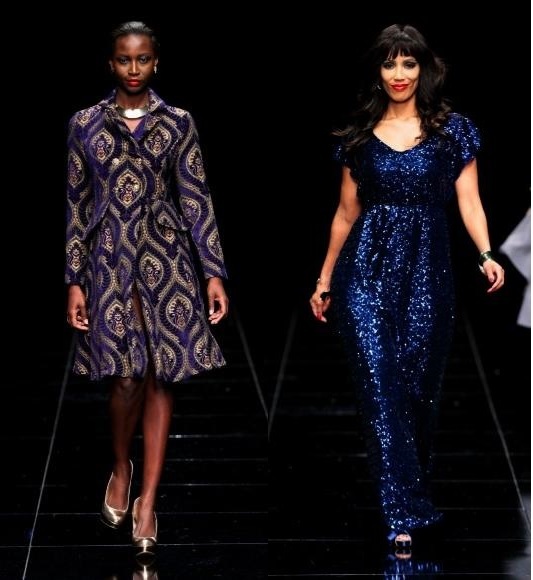 Celebrities which walked on the runway included Top Billing’s Jonathan Boynton-Lee and Expresso’s Ewan Strydom and Leigh-Anne Williams. I have only posted some images from his collection. To see more click here.